Commercial route planning software is a valuable asset for waste contractors operating diverse fleets of vehicles on tight schedules. Regional waste contractors are increasingly turning to route planning solutions to improve operations. However, not all applications are fine tuned to the needs of waste contractors – instead being designed for more general fleet management. To take full advantage of route planning software, a package should be optimised to the needs of your business, or a bespoke application created. 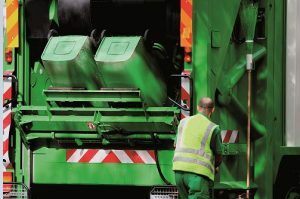 An integrated logistics strategy, which incorporates route optimisation, energy efficiency and asset management, is useful for reducing waste and boosting productivity for contractors. Residential waste and recycling collections have the virtue of being predictable. Different streets in a postcode area have bins emptied on the same day each week, normally with a rota for different classes of waste or recycling on successive weeks. This allows intricate forward planning by waste contractors, but does not allow much flexibility, as the collection schedules are often determined by the local authority in advance. 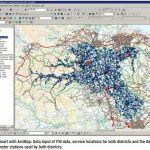 Using route planning software, a regional waste contractor can subdivide a high-density collection area into efficient routes that maximise output for the working time allotted for each area. When determining routes, the special requirements of an area can be inputted – essential for urban residential districts with one-way systems, prohibited left turns, pedestrian areas etc. Many inner-city areas now use smart bins; waste disposal stations that send signals that report on their storage capacity and request collections when full – rather than on specific days. This requires a dynamic approach to route planning to maintain efficiency during collections, especially for contractors who manage smart bin collections as well as scheduled residential waste. The demands of smart bin collections can easily cause a collection backlog and/or additional travel expenses if not carefully planned through route planning software. A lot of commercial and industrial waste/recycling is collected on the same principle as residential waste. However, the volumes are normally more substantial and include large item collections. These volumes can vary from week to week, unlike residential collections. Furthermore, many businesses request ad hoc collections for individual waste items or additional collections at periods of peak demand. A modern logistics planning app can help arrange a fleet in the best way, so the most appropriate vehicles are used for commercial collections without unnecessarily increasing the number of vehicles on the road. Waste collections from construction sites are project based and are subject to variable timeframes. All construction collections take place on demand and normally involve several grades of waste. For a regional waste contractor, this can involve deploying several types of vehicle and sorting teams to ensure waste products are recycled or disposed of appropriately. Route planning software can rapidly calculate costs at the point an order is received, and incorporate special collections into the daily roster without knock-on disruption elsewhere. At Integrated Skills we offer businesses assistance with all aspects of process management, saving you time and resources on your operations. Get in touch to find out more on 02380 737 983. Next post: Can Route Optimisation Assist Security Patrols?